We have a love/hate relationship with the law. We must have rules to build a society. In Lord of the Flies, William Golding gives us the story of lost boys forming their own laws in an imperfect society to control their fear and desperation, a social order based on the example set by their experience of an adult model, equally imperfect. If society is human-made, it is necessarily as imperfect as its creators. We don’t claim perfection, we do claim effort. Laws are our effort to establish a working social order that is as fair and as enabling as we want our own lives to be. That necessarily means that some human activity is curtailed and some is punishable. An obvious example is causing the death of or injury to another human being. Causing deliberate harm or by negligence is another. When I write about the law, lawyers, law enforcement officers, judges etc., I do so from a perspective informed by my experience of … criminals. From my first completed and published novel, an historical Romance, written under my pen name, Lily Dewaruile, Traitor’s Daughter, through my latest contemporary novel, This Can’t Be Love, I have had a lawyer somewhere in the works. 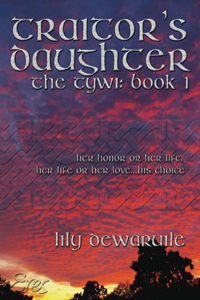 The hero in Traitor’s Daughter, Garmon Dolwyddlan, is a Welsh medieval lawyer working under the codified laws of Hywel Dda in the 10th Century, defending his wife against accusations of assault and bringing false charges against two members of his own family. 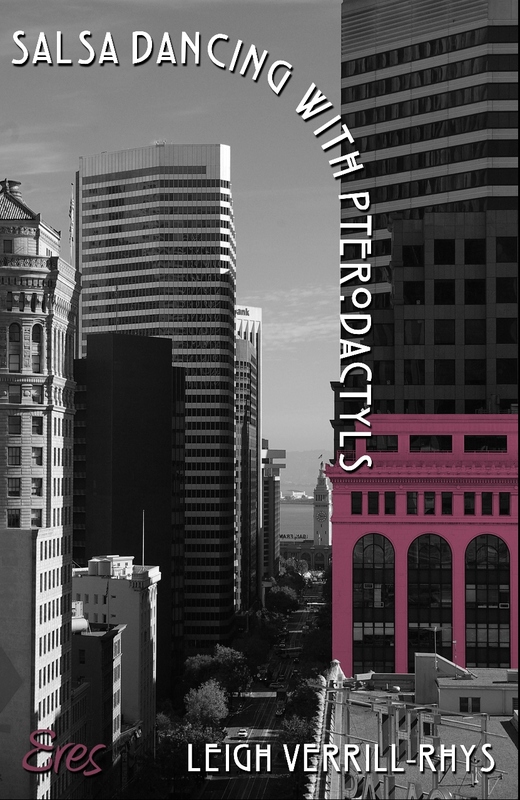 In Salsa Dancing with Pterodactyls, the hero, David Gitano, is a corporate lawyer in San Francisco, under pressure to break all of his profession’s highest ethics in order to keep his son. Throughout my novel by installment, Nights Before, the law enforcement officer with the nice eyes, Brad Foster, is equally maligned and adored by his wannabe girlfriend, Jocelyn Tavers. 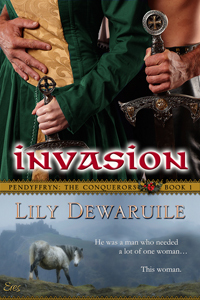 Welsh medieval/Celtic laws play a part in all of the books of my medieval family saga, Pendyffryn: The Conquerors, and are at play in the second generation of this saga, The Inheritors. 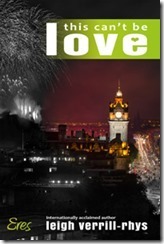 When Jakki Hunter is harassed by a former friend when her rescuer, Mike Argent, the construction site manager-hero in This Can’t Be Love, pursues a claim against the friend for damages, Mike’s foreman gives him the business card of his sister, the barracuda of the Edinburgh legal system, Mary McEwan. When I was in college, I worked as a writer for a newspaper distributed to prisoners throughout California and the U.S. The people who had established the organization publishing this newsletter were all ex-convicts, people with whom I worked daily. There is a reason some people go to prison and a good reason they are forever after known as ‘cons’. Most of these men and women were intelligent but used their intelligence to nefarious ends, to con well-intentioned supporters into giving them grants and access to power. Some were of a brutal nature, easily manipulated by their smarter con-colleagues into performing their bidding, as Jakki’s tormentor is able to encourage his minions to do. Cons are masters of manipulation and they are shameless. They are typically self-important and harbor delusions of superiority; nothing pleases them more than convincing the unsuspecting that their ideas and causes are right. They find the weakness in the law and exploit it to their purpose and advantage. Following my years of training in visiting convicts at San Quentin and Folsom, listening to the ex-cons gloating about how easy it is to get naïve civilians to believe their games, and the wretched tales of abuse and violence to which their victims were subjected—quite often their girlfriends and wives (Tina Turner, the inspiration for the title of this post, is an example of that)—I can truthfully say the criminal class has contributed significantly to my understanding of human behavior. However, I prefer to make heroes and heroines of those who stand for ‘the right thing’. And it is a great pleasure to bring the cons and thugs in my novels to their just ends. I don’t write crime fiction. I write about the interaction of human beings in ordinary situations. Manipulation, bullying, confidence games, harassment, violence are all part of the mix. In the novel I’m currently writing, Pavane for Miss Marcher, the hero is – you guessed it – a lawyer. The antagonist is a politician. Caught in the middle is a woman whose kindness and sense of ‘the right thing’ puts her in the clutches of the politician and the care of the lawyer. And the novel I am editing for publication later this year in the Pendyffryn: The Inheritors series, Justice? I think the title answers that question. So. What’s law got to do with it? A lot! With thanks to all the men and women who serve and protect our society, defend our Constitution, and uphold our laws.